Located in the Green Mountains, Okemo is one of the most popular ski areas in New England. While skiing in Okemo State Forest dates back to the 1930s, lift served skiing was not developed on Ludlow Mountain until the 1955-56 season. A $200,000 development was rolled out for that season featuring two Poma lifts, including the longest one of its type in New England history (at 6,207 feet). 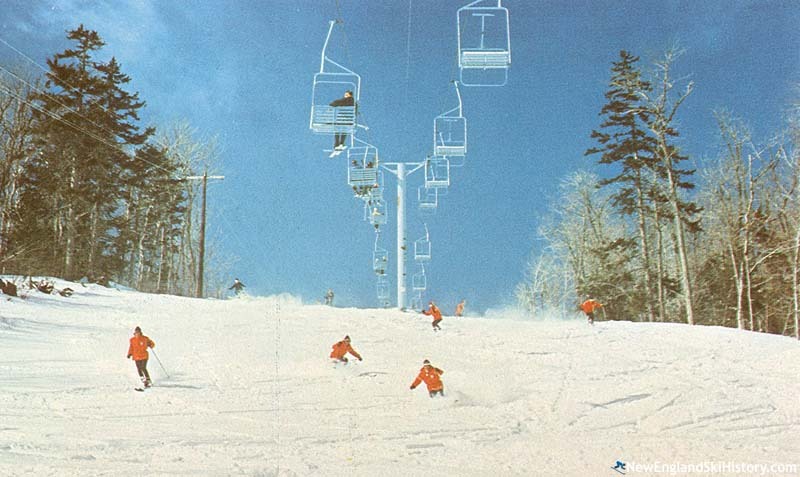 Okemo officially opened on January 31, 1956. For its sophomore year, Okemo added another trail and some more open slopes. The base lodge was improved for the 1957-58 season. Pomas, Pomas, and More Pomas! A third Poma lift was likely installed for 1958-59 season, serving the lower mountain. Two new Poma lifts were initially advertised for the 1960-61, however it is possible that only Black Poma was installed. Nonetheless, the new lift was opened in conjunction with additional trails, such as War Dance, Bow, and Arrow. The Blue Poma was extended uphill for the 1961-62 season, providing easier connecting to the upper mountain lifts. In addition, a new trail was cut in the Glades area. The base lodge was doubled in size for the 1962-63 season, while general trail improvements and expansions also took place. 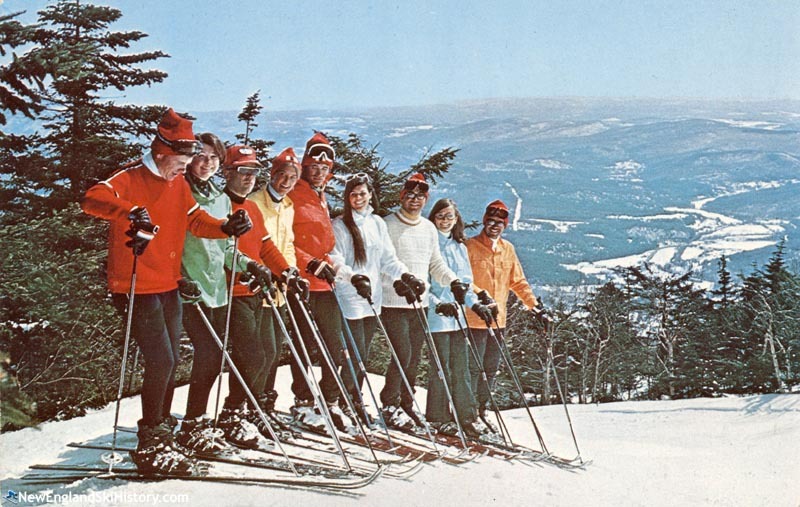 Already considered one of the larger areas in the state, Okemo took a giant leap forward in 1965 when it installed its first chairlift, the Sachem Double. Along with the chairlift and the installation of the F 10, Okemo's lift network had grown to 7 Pomas. To help the ski area in lean seasons, a new snowmaking system was added for the 1966-67 season. A $400,000 base lodge project debuted for the 1968-69 season, to be opened in conjunction with Okemo's second chairlift. Construction on the latter was halted due to an early season snowstorm. Combined with a lean 1969-70 season, the Northwest Summit double chairlift did not debut until February of 1970. The Rim Rock Trail likely opened in 1970-71. The South Ridge double chairlift, Okemo's third, was installed for the 1971-72. With the new lift, Okemo now had top to bottom chairlift served skiing for the first time. 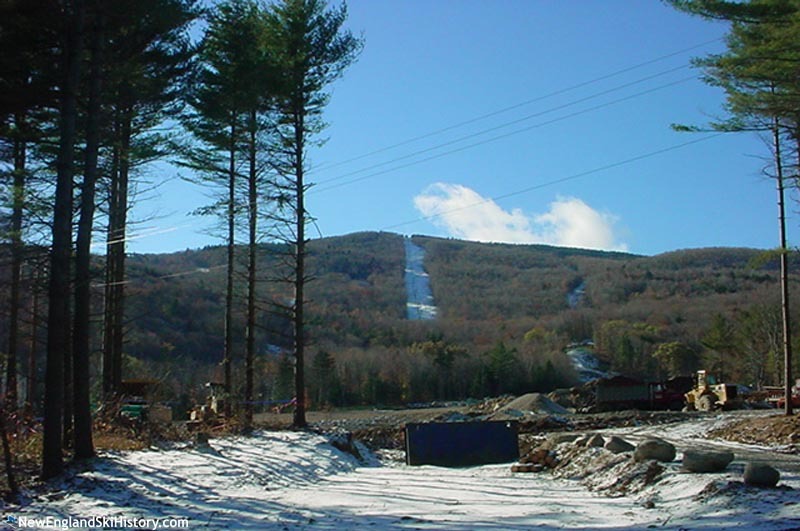 Unfortunately for skiers, it would be more than a decade before the next installation, as Okemo was rolling into financial trouble. While Bromley manager Stig Albertsson attempted to purchase Okemo, he was unsuccessful. By the start of the 1980s, a planned expansion was shelved while debt increased. On August 2, 1982, Tim and Diane Mueller took a principal stake in the ownership of the mountain and began a campaign of dramatic improvements. During their first full off season, the Muellers installed the area's first triple chairlift, ushering in an era of repeated record breaking skier visit figures. After eclipsing 300,000 skier visits, a sizable expansion took place a few years later with 1987's Solitude development. Okemo's first detachable quad was installed for the 1992-93 season, advertised as the world's fastest high speed quad. A $1.2 million summit lodge was constructed in 1993. The ski area expanded again in 1994-95 with the installation of a high speed quad at Solitude, the construction of a 70 million gallon snowmaking reservoir, and the new South Face complex. Skier visits soon surpassed 500,000. A new snowboard park was constructed in 1996, served by a T-Bar. By the end of the decade, Okemo was launching its new nordic skiing and golf facility. 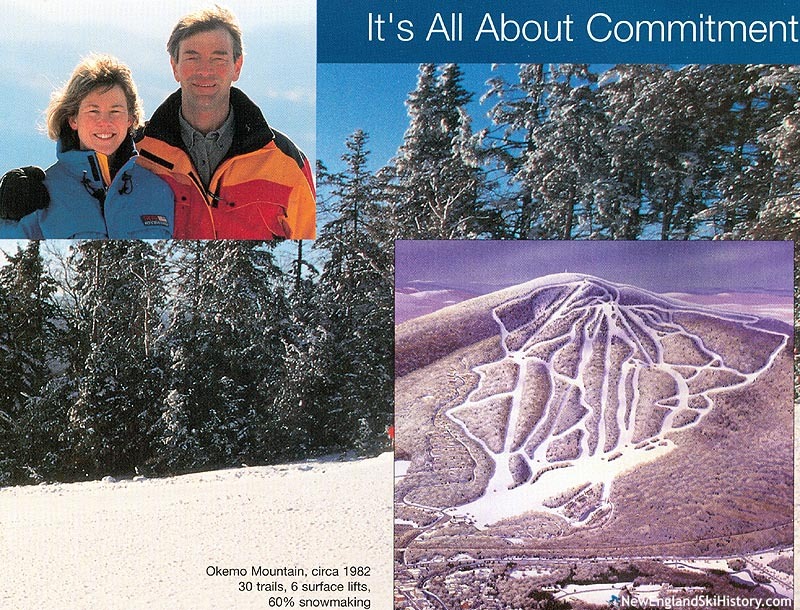 Meanwhile, the Muellers became operators of Mount Sunapee, NH in 1998. An ambitious project was rolled out in 2002, when a new base area and trail pod were developed on Jackson Gore. While original plans called for extensive developments such as a gondola, the implementation has been much more gradual. The main lift was installed for the 2002-03 season, whilst the base area and lower mountain lift were added for the 2003-04 season. On December 5, 2008, Okemo parent company Triple Peaks, LLC sold its developed ski area assets (including Okemo) to the Real Estate Investment Trust CNL Lifestyle Properties for $132 million. Triple Peaks, LLC then entered into an agreement to lease its three areas back from CNL for 40 years, therefore continuing operational control. 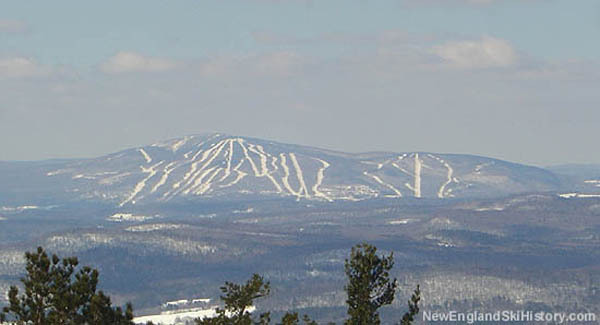 During the 2010 off season, the Snow Star Poma was replaced with a Magic Carpet lift, marking an end to Okemo's long Pomalift history. More recently, Okemo has unveiled plans to develop South Face Village below South Face, providing new trails, lifts, and real estate opportunities. During the 2014 off season, Okemo installed a new high speed six pack bubble chair, replacing the Northstar Express Quad. The following year, bubbles were installed on the Jackson Gore Express, which became known as the Quantum Four. 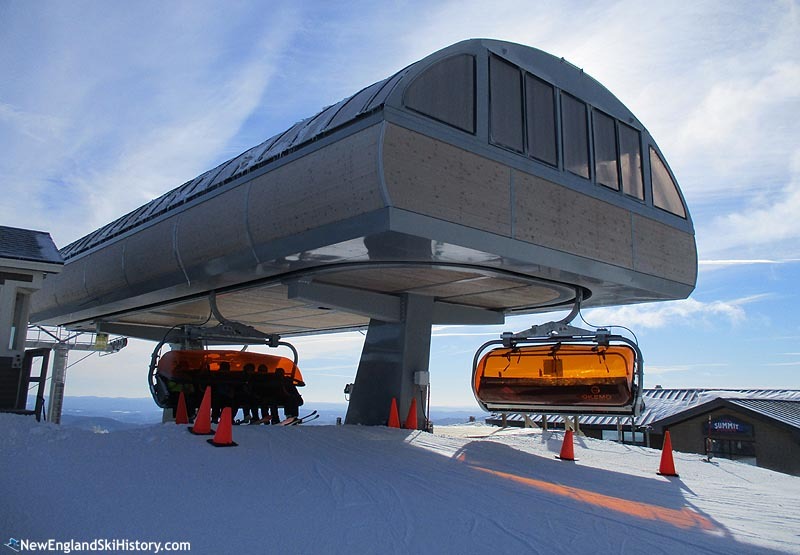 As a result, Okemo became the only ski area in New England with two bubble chairlifts.